Education Committee - Members Wanted! 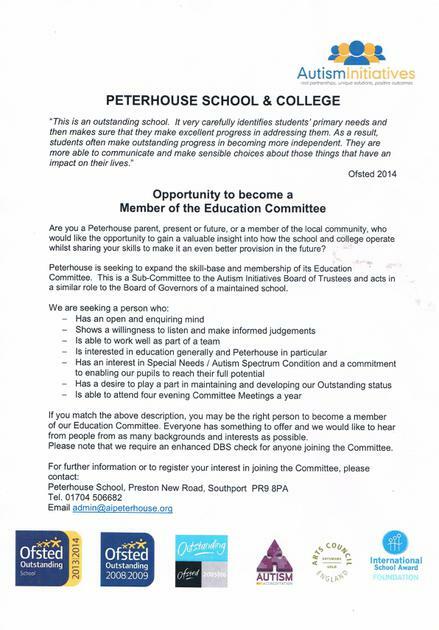 We are looking for new members to join our Education Committee, to support the school in developing its Outstanding Provision even further. Please contact the school for more information, or to register your interest!